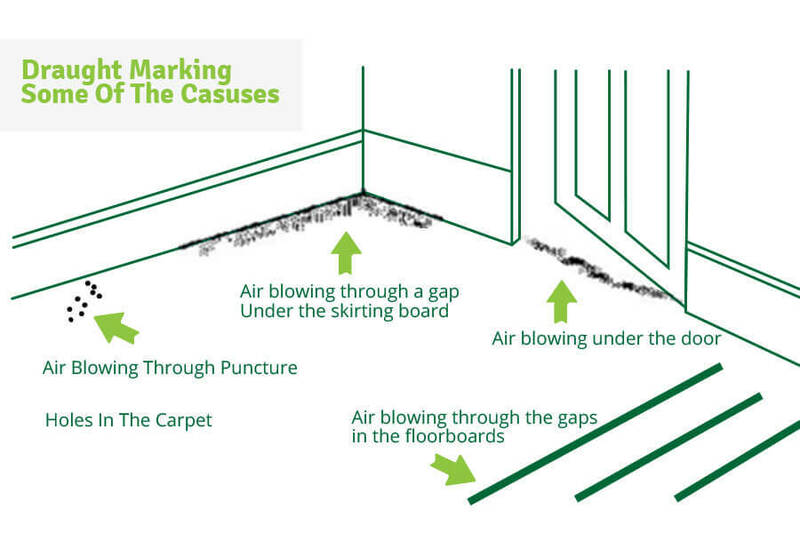 Ever wonder what those black lines are along the edges of your carpet, at the baseboards or under doorways and closets? 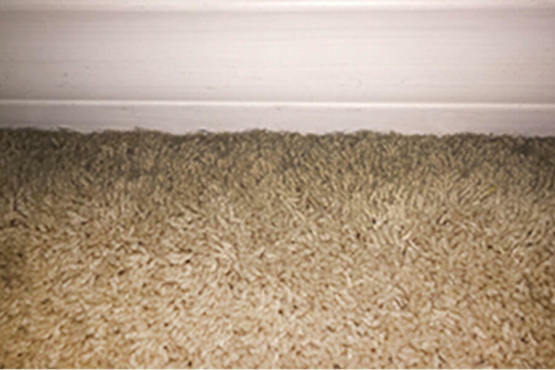 The black lines are not a carpet defect but is instead pollution that comes from dirty duct work, cracks, tears or gaps in carpet and flooring and it settles on your carpet. It is most noticeable in areas having a concentrated flow of air over the carpet. The soiling condition can occur quickly, or it may develop over a period of months or even years. Vacuuming this area is not usually successful, even when a crevice tool attached to the vacuum cleaner is used. Because the carbon particles are attached to the carpet fibers and each other by electrostatic bonding. Therefore, to remove these “soot lines” a different effort is required. How To Prevent The Black Marks. o prevent it from happening in the first place, get your air ducts cleaned!